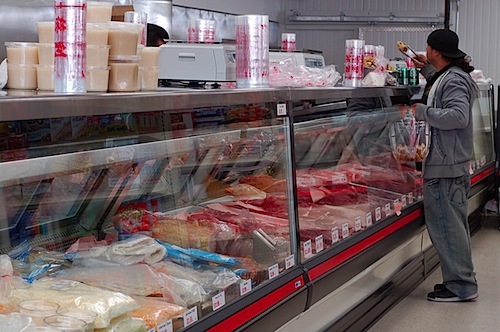 A shopper at Duc Loi Supermarket carefully selects large chunks of freshly fried chicharrones, while rendered lard begins solidifying on the counter nearby. For over twenty years, seven days a week, Howard and Amanda Ngo have sold fresh, affordable produce and a quirky blend of both Latin American and Asian ingredients at the heart of the Mission District. Looking for purple corn and whole-blossom jamaica in bulk? They have it. Ube yam and cashew fruit and banana leaves in the freezer section? Check. 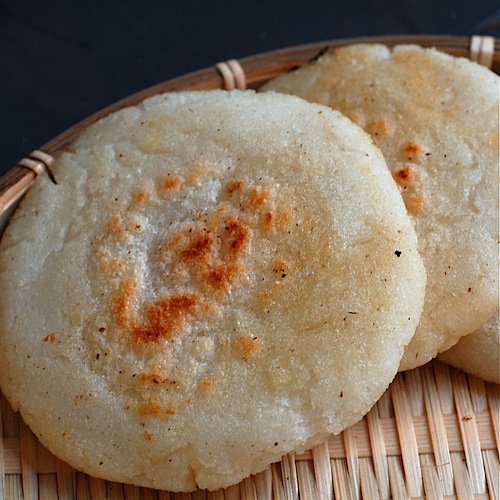 Dried peruvian beans or dried tofu nuggets? Check. Goat ribs and ox tails and whole, fresh pig heads? It’s all there at the meat counter. Young, watery coconuts chilled and ready to hack open for sipping on a sunny afternoon? Most definitely yes. Slim as a finger or big as a fist, wrapped in papery corn husks or supple banana leaves, sweet as spring or spicy as summer — the humble tamal in all its forms and flavors has become the star of an annual fundraising event in San Francisco. 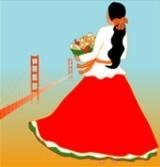 Taste of Tamales By the Bay will be coming again to the Fort Mason Center on Sunday, April 26, 2009. 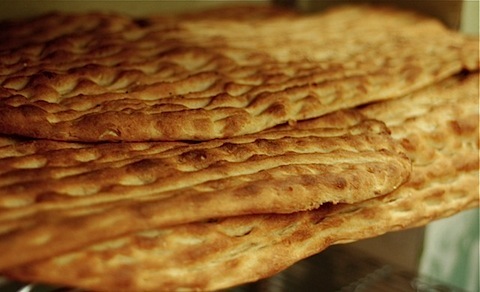 With winter’s pantry almost empty and the green promise of Persian New Year just days away, it was time for a trip to Fremont’s Little Kabul to stock up on Near/Middle/Far Eastern supplies. Get up early on a Saturday. Clear out the back of the station wagon to make room for bread. Call fellow eater-travelers to make sure they’re awake. Decide which bridge to cross this time around.